One of the key reasons to come to Chileo is to see the unique and extraordinary Chileo wooden churches, 16 of which are designated as Unesco World Heritage sites. The churches were largely built in the C18 and early C19 century at a time when the Jesuits were very influential on the island and they are a remarkable mixture of Jesuit influences and local woodworking and carving skills. Ancud houses one of these churches, together with the nunnery that was built beside it. 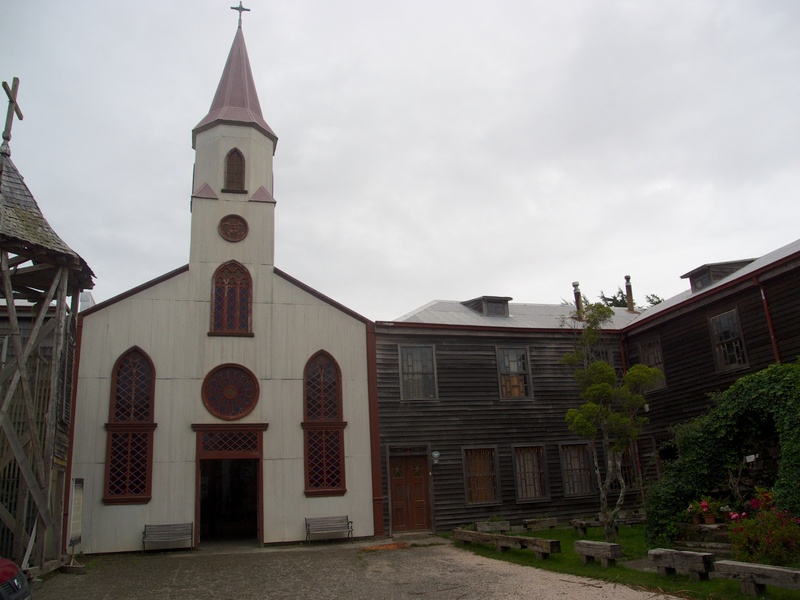 The church is now the Centro de Visitantes de las Iglesias de Chiloe and is one of the nicest little museums I have ever been in. We are looking forward to exploring more churches tomorrow. Posted in Architecture, Chile, Photography and tagged Ancud, architecture, Chile, Chileo, churches, photography. Bookmark the permalink. I have heard about them and someday I might visit Chileo and make comparisons between Chilean and Finnish wooden churches. In Finland we have wooden churches hundreds.